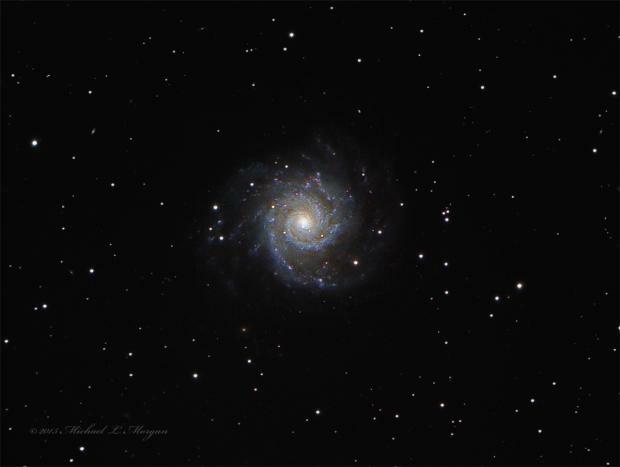 Messier 74 face on spiral galaxy in the constellation Pisces. Taken from Highland Lakes NJ 08-14-2015. celestron CGE 1100 Starizona reducer corrector QSI583wsg.EFL2100mm @ F7.5 LRGB, luminance 19x5 minutes binned 2x2 RGB 20 each at 2 minutes binned 2x2. This replaces an image taken a few years back.